Take a superbike, a helicopter and a fighter plane. Mix them all together with a dash of awesomeness, and here’s what you’d probably end up with. 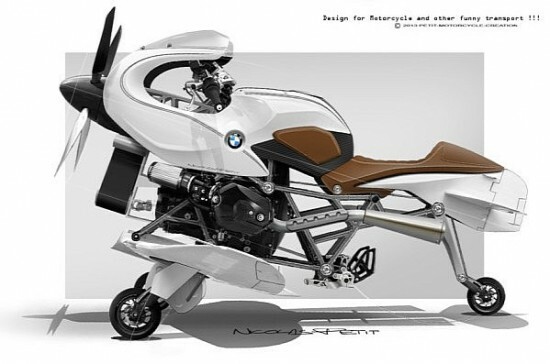 Called the Flug, which literally translates to ‘flight’ in German, this craft is a concept by Nicolas Petit and seems to bring alive all our geeky dreams of a machine that can fly, destroy and pump your adrenaline to astronomical levels. 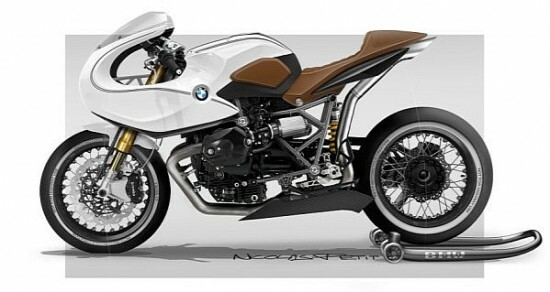 The concept fighter “plane” packs the iconic R1200 BMW boxer engine, giving it a retro touch. 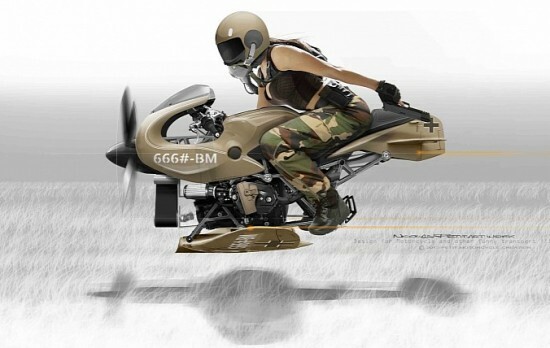 With a seating position shaped like that of a superbike and handles to maneuver, the Flug is one of those contraptions you’d want to run for cover from, if it ever did turn into a reality and was used for war. Also, for some astonishing reason, the Flug reminds us of the vehicles that featured in the G.I. Joe franchise.